Get simple and precise measurement results every time with our product of the week - the Datum DM40 laser Distance Meter. Measure and calculate distance at the press of a button, futhermore on the DM40 model, an additional button allows users to measure and calculate areas and volumes,making this the ultimate budget tool for building surveyors and DIY enthusiasts alike. The innovative device allows the user to change between metric and imperial units, along with the option to select the tracking mode quickly and precisely by the one button operation, all to an accuracy of ±3mm and a crystal LCD screen displaying to a unit of 1mm. Its mimimal functions and reliable results ensures users can complete their projects efficiently without the hassle, and the results can be easily read off the clear display. With a maximum distance of 40 metres, the model is also available for distances up to 15 metres and 20 metres. All models come complete with the Laser Distance Meter, 2x AAA batteries, a soft carrying pouch and a wrist strap. 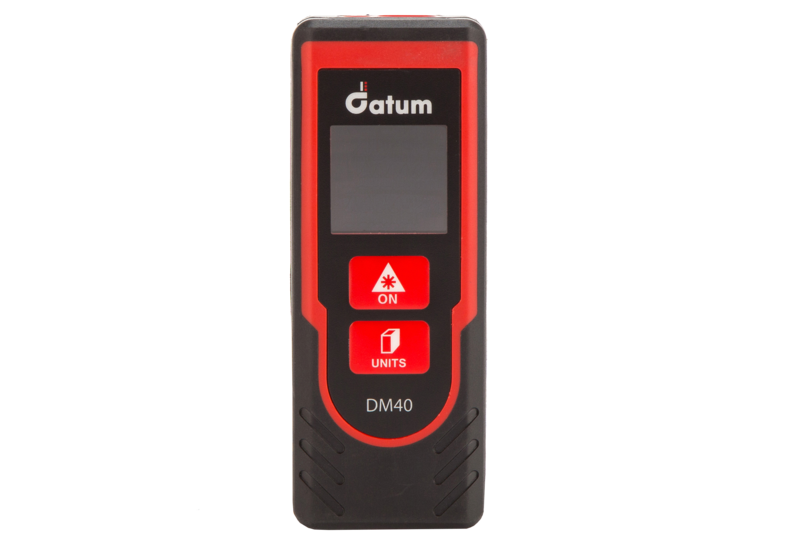 To purchase the Datum DM40 Laser Distance Meter, or for more information click here.